Tyre changes ahead for Formula Renault. © Renault Sport Media. 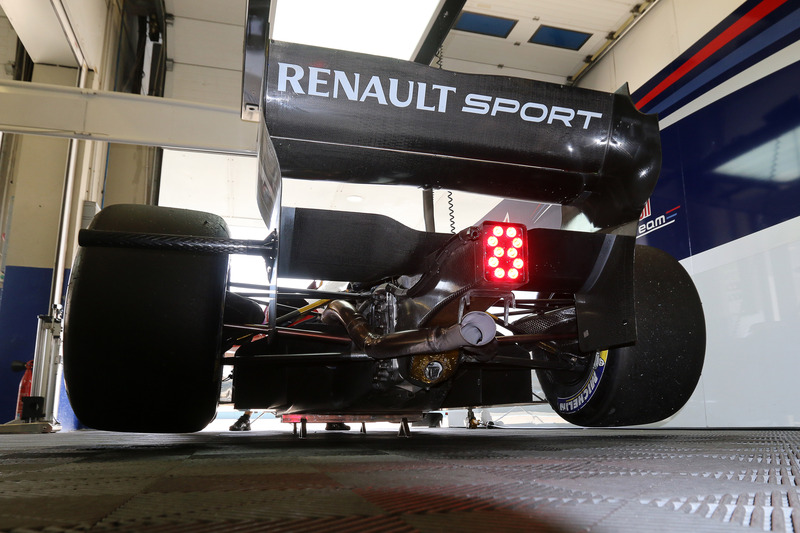 Renault Sport Technologies and Michelin have announced that they are investigating a possible switch to 18-inch tyres for the Formula Renault 3.5 Series for the 2016 season. The entities are also looking into introducing 17-inch tyres for their Formula Renault 2.0 categories. Renault Sport conducted tests at both the Riccardo Tormo circuit in Valencia and at the Circuit de Cataluña just outside Barcelona to discover whether the changeover will be feasible. The initial runs proved positive, with further tests planned for the coming months. Although the collaboration between the two parties commenced several months ago, the fruits of their labour is only now being born. Following several in depth simulations, the recent tests offered Renault Sport and Michelin an opportunity to study and understand any changes that may occur should the series officially change to these larger units. In these tests, they examined the results of changing tyre dimensions with regards to grip and performance of suspension units, while also detailing effects at top speeds. With several modifications in place, factors such as wear rate, road holding and potential depreciation of other mechanical elements were also studied. According to Renault, cars running the 18-inch tyres showed an improvement of up to one-second-per-lap compared to contemporary tyres constructions when they ran at the same circuit earlier this year’ however this does not take into account change of climactic conditions. Should Formula One choose to go down such a route, it would place Formula Renault in a commanding position for those drivers wishing early experience of such technology. It would be a welcome development for the World Series by Renault category, whose reputation suffered to the GP2 Series this season. These are not the only alterations set out for pan-European championship. Renault Sport also recently announced its 2015 season calendar; with the series’ 11th season undertake several noticeable schedule changes. Beginning under the World Series by Renault banner at Motorland Aragon in April, FR3.5 will once again visit Monte Carlo in May as support of the Monaco Grand Prix, before rejoining World Series by Renault at Spa-Francorchamps at the tail end of May. Thereafter, FR3.5 visits the Hungaroring (June), before making its return to the UK for a round at Silverstone in late August. A round at the Red Bull Ring has also been revealed, but has yet to be given a date, although it is believed that it will slot in between Hungaroring and Silverstone. In September, the series goes to the Nürburgring and will then make a return to the Le Mans Bugatti circuit for the first time in six years, before finishing once again at Jerez on the third weekend in October. Rounds at Monza and Moscow have been dropped; however the series has not ruled out a return to Russia at some point in the future. A possible Chinese round has also been discussed, but only if the money is there to make it work.